The Michelin Pilot Road 4 180/55 ZR17 73W (Rear) reduces braking distances by 17% over its principal competitors thanks to its new XST + siping technology. The TWO Compound technology provides reduced tyre wear. It offers excellent grip. Replaced original tyres with these and first ride today to scrub them in and it has transformed the bike.Read other reviews on these before purchase but did not expect such a huge difference in the feel of the bike.Can not comment on longevity or wet roads yet but so far have high expectations for these beauties. Far superior to the previous Pirelli Angel tyres. Transformed the way the bike handled, and inspires much greater confidence. Can't comment on longevity yet, so I give 4 as a guess. 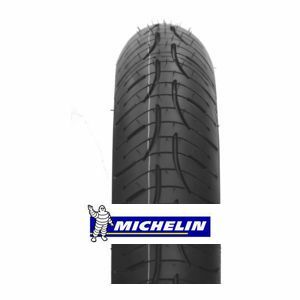 To review the Michelin Pilot Road 4, you first have to log-in by clicking here.